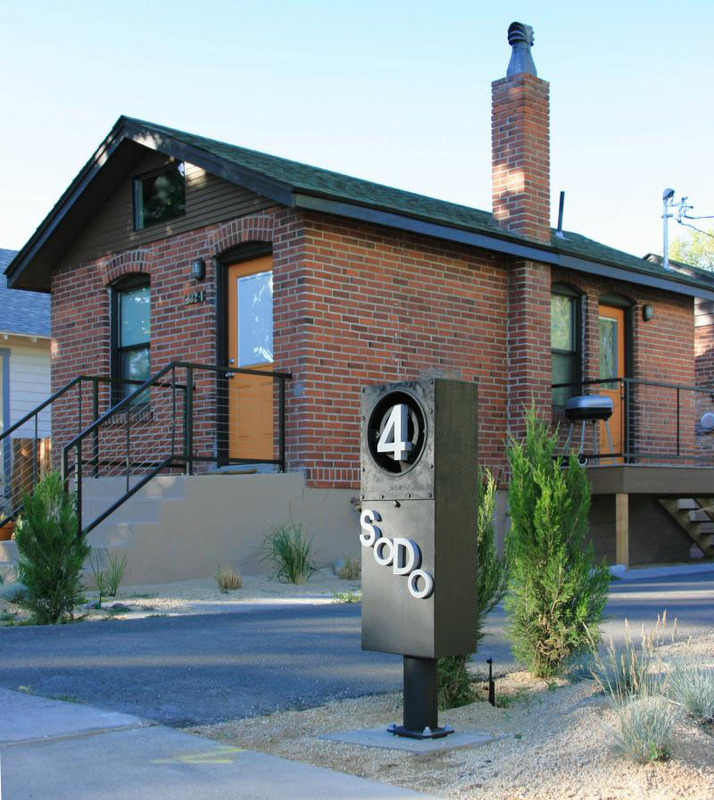 This 275-square-foot tiny house located in Reno, Nevada is a 100-year-old brick structure that was once used as sleeping quarters for the brakemen and engineers on the old V&T railroad. HabeRae Properties took over the this urban infill and transformed it into a modern eco-friendly home. A hidden ladder leads to the sleeping loft. The open floor plan with sliding pocket doors, stacked appliances, mini-sinks and ample shelving keep the house from feeling cluttered.